Tong peal barrel washer in great condition. The washer benefits from having a stainless steel barrel so unlike older ones it will not rot. The machine has been recently refurbished and has done little work since, the refurbishment included all new bearings, new belts and a new set of drag chains for the stagnant mud. 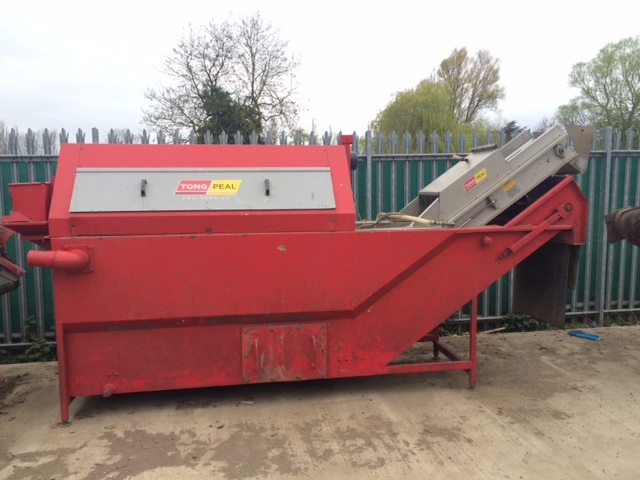 This has been previously used for washing potatoes with excellent results. The washer has a small foot print measuring just 3500mm long and 1200mm wide.